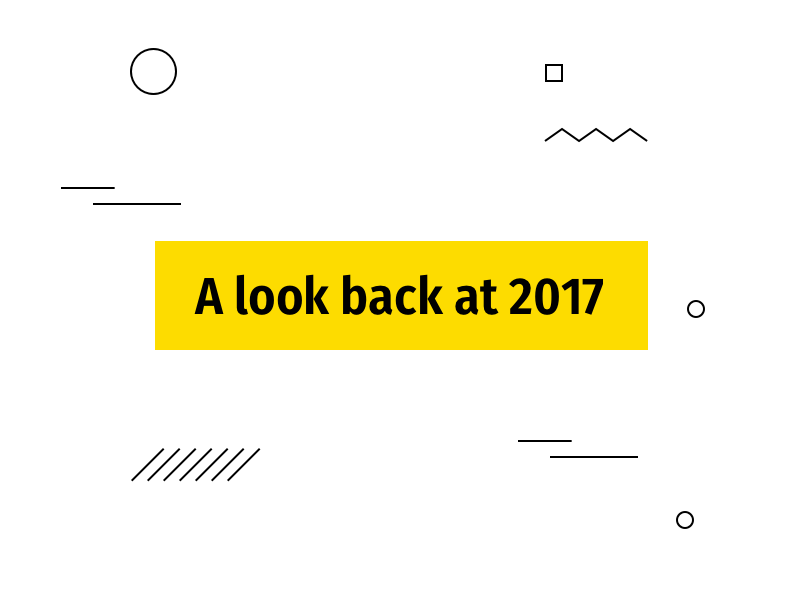 We are on the verge of 2017, and it’s high time to look back and sum up the past year. 2017 was a year of growth at IDAP. We worked hard on various projects and mastered lots of new state-of-the-art technologies. Along with hard work, we know how to lead the life of Riley. Lots of cool stuff happened in the company and outside it, and we’d like to share it with you. In 2017, 40+ people joined our team. So who are those 40+ people? This year we hire even more skilled Android and iOS developers, QAs as well as other tech and non-tech staff. Who did we hire in 2017? During 2017 IDAP established a separate department for marketing. Our plan for 2018 is to make the most out of marketing and help the company pass 2018 with the flying colors. 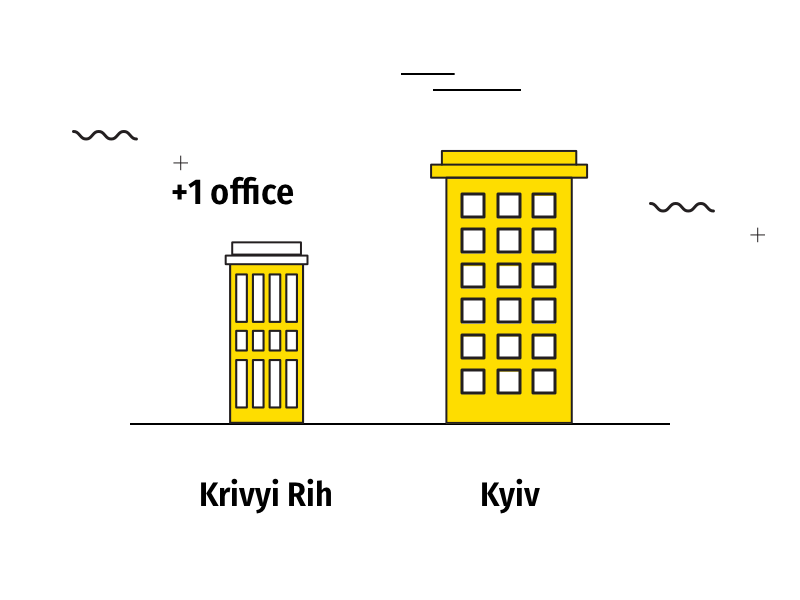 As our team grew, our office also became bigger. In 2017, we decided to touch up our brand identity. Our designers worked their fingers to the bones to provide a new corporate style for IDAP. And they did! We launched a fully redesigned website not so long ago. 2017 was a challenging year. The projects became more complex and larger. IDAP does both apps for startups as well as for business. However, we shifted our main focus to the business automatization in 2017. As a result, the development teams grew into 10-15 members and the average development time was increased, too. We take advantage of tech solutions to help every business grow. At IDAP, we know that every business deals with various issues, we build both custom mobile apps as well as business process management systems. As a rule, such business tools have a strict non-disclosure policy, and we can’t share our projects with you. This year, IDAP not only took part in IT conferences but also hosted some code meetings for developers.The first meetup was held in January, 2017. Pizza and Code with trimm is our monthly meetup for iOS developers. Here we discuss innovations, share experience, and take a look at fuckups discussing the way how to avoid them in the future. Oleksa Korin is our CTO and the most provocative speaker at CocoaHeads Ukraine, a must-stop meeting for all iOS as well as Mac OS developers. The speakers share valuable info on Swift as well as their experience. And Oleksa always surprises the audience with out-of-the-ordinary code talks, and everyone is looking forward to his workshops. IDAP has recently become an AIESEC partner. AIESEC is a global youth organization that provides young leaders with the opportunity to develop their leadership potential as well as explore the world. This year, we had a guest from China. Guan Wen spent an awesome summer at IDAP. She gained valuable hands-on experience in project management. And we asked Guan Wen to share her thoughts about IDAP. Very very glad to have this opportunity to come here and learn from all of you. Thanks for sharing the experience with me. I have learned lots of things in project management. Thank you very much! All of you, thank you! We had a really great time at IDAP. IDAP College traces back to the outset of the company. It’s a one-of-a-kind boot camp to bring up iOS developers. Our best middle and senior iOS developers share their experience with students. 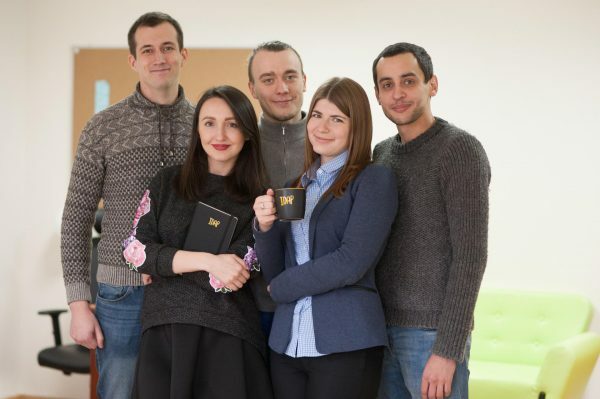 As a rule, classes take place four times a week at IDAP’s office. The course lasts for six months so students gain a thorough understanding of iOS development. 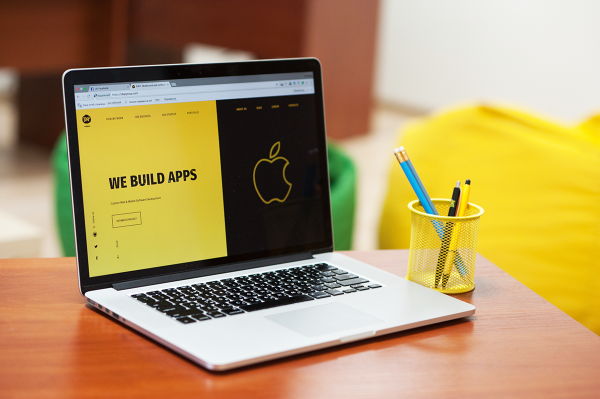 After graduation, students know how to write code with Objective-C and Swift, how to build graphic via Cocoa Touch, Interface Builder, MVC, and how to apply other essential tools to create mobile apps. In a nutshell, we have made this program to bring up qualified junior iOS developers that would be able to join our team. So far 17 students have successfully passed our course, and 7 out of them were invited to work with us. 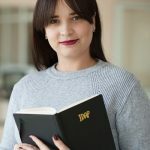 IDAP encourages employees to grow as professionals. We take part in lots of conferences, workshops as well as various vocational training courses, etc. So we are really passionate learners. This year, we got a unique opportunity to learn English without leaving the office. Now we have an in-house English coach that help us be in tune with all our clients. IDAP turned five years! First milestone reached! The first considerable milestone reached, hurrah! Nearly a half of software development companies has an average lifespan of three or four years according to the ABS research. Hence, not every software development company manage to overcome a 5-year crisis. But IDAP overcame the crisis with flying colors. We did a great job! 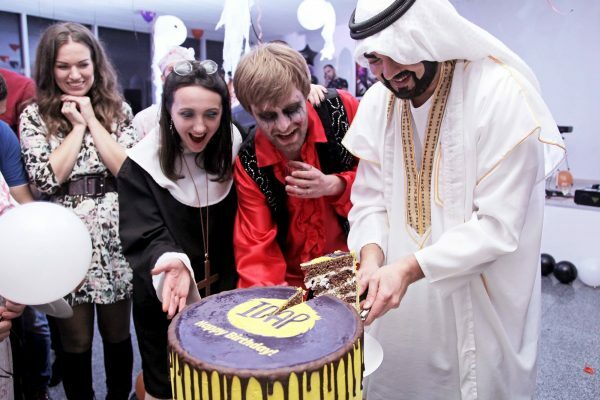 To celebrate the first milestone birthday, we threw a remarkable party. In fact, we combined our Birthday and Halloween party, and it was amazing. Everyone got dressed and painted the town red. The party was a rousing success. 2017 was an eventful year. 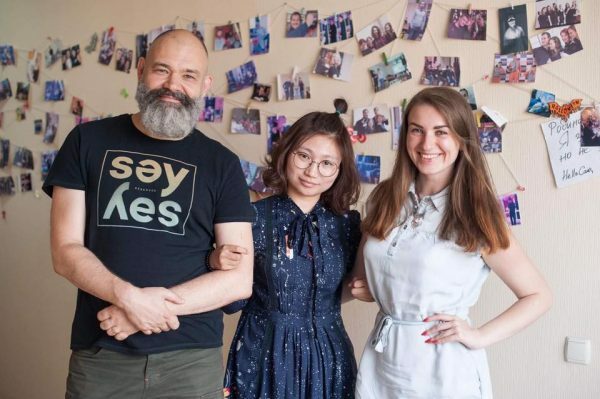 IDAP is growing together with the clients – more employees, more working space, and, of course, more projects. In other words, IDAP shows a step-by-step growth. Let’s have a look at the events that changed the course of our history. In a nutshell, I’d like to say it was a fantastic year! We can’t wait for the upcoming years and more projects. How Much Does it Cost to Make a Social Network App? What is a CRM-system and how do I choose one? We’ve got a NEW REWARD from Clutch.Co!